Bringing the outdoors in with simple twigs like this is a great way to honour the season in your new home. 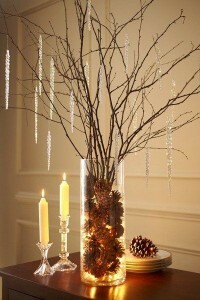 Arrange your twigs in glass vase filled with pinecones and hang some crystal icicles on them for some holiday sparkle. Strategically positioning a candle just behind for warm glow or try inserting a cord of Christmas lights for a more uniform glow like this one here. 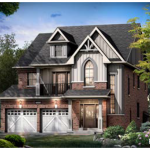 Sometimes bringing the outdoors into your new home doesn’t have to be so literal. 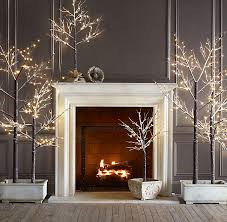 Rather than using actual twigs, considering investing in some faux pre-lit trees which can be used both indoors and out. When using indoors, they look best against dark backdrops so contrasted against those dramatic wall papered or dark painted rooms in your new home, these lit-up twig trees look stunning. If you’ve found yourself throwing some early parties this time of year and already have some empty bottles to work with in your new home, try making these fabulous Epsom salt and glitter bottles! 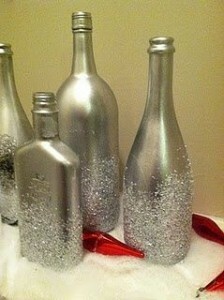 For just the cost of a can of spray paint, a clustered grouping of bottles like this can really set a great mood for your next holiday gathering! If you’re not too fond of extreme sparkle and shine for your new home, then you’ll love using burlap for your holiday décor. 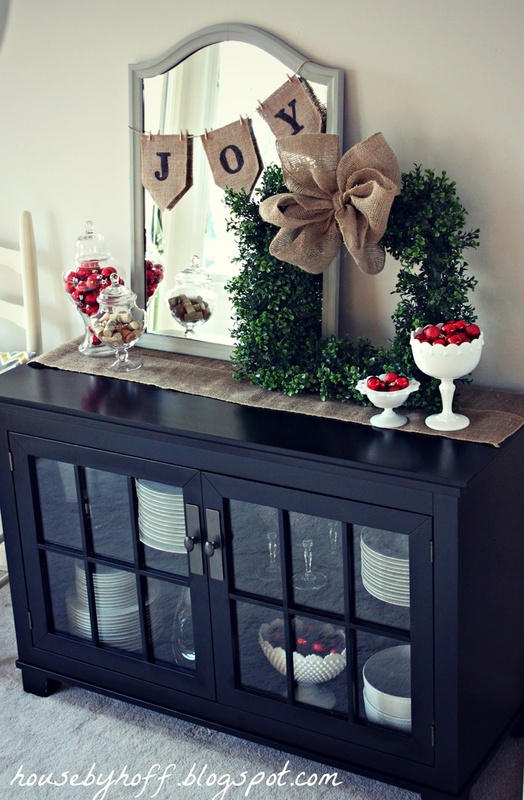 The charming and rustic look of burlap can be used in so many ways; as a tabletop runner, bow for your wreath, or delightful cut-out letters used to dress up a mirror. 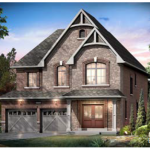 For more fun and inspiring holiday décor ideas for your new home, be sure to visit the Mosaik Homes Facebook Page!